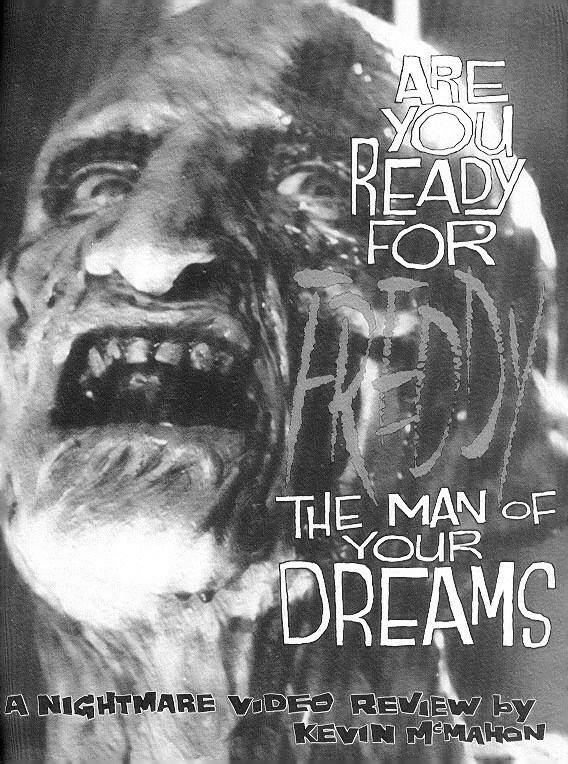 Are You Ready for Freddy the Man of Your Dreams! 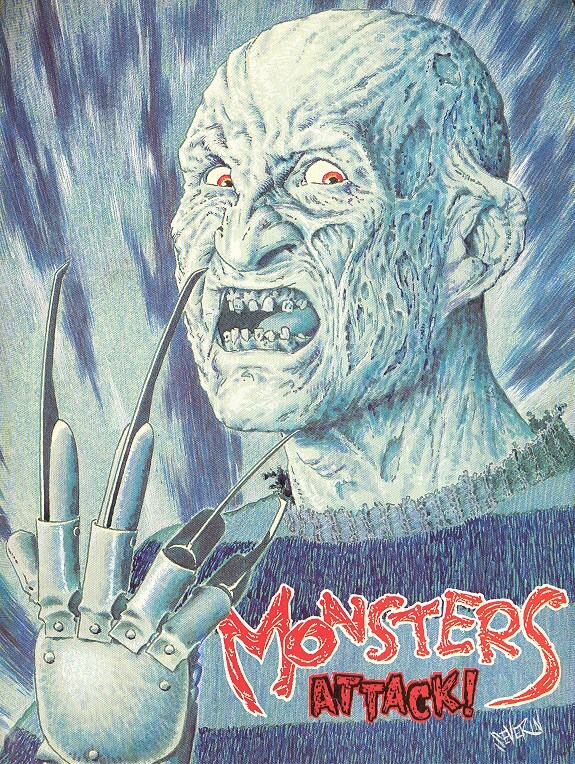 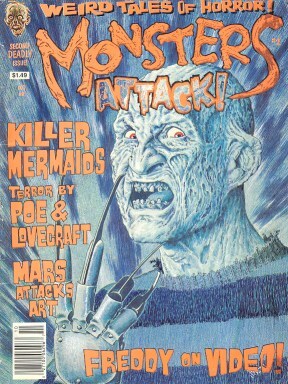 Published in Monsters Attack!, Issue 2. 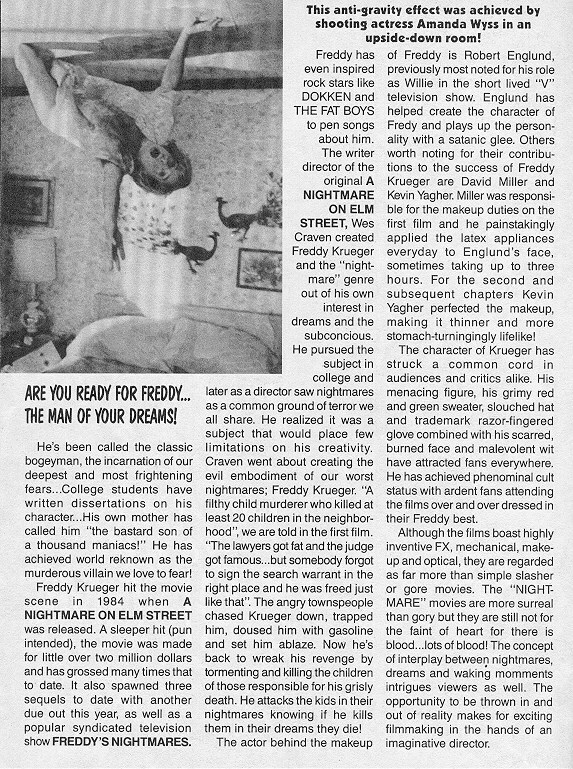 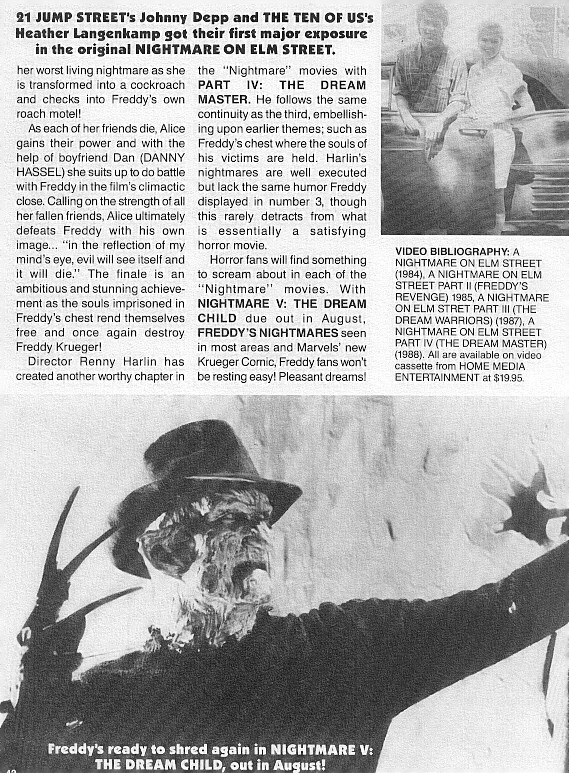 Writer Kevin McMahon takes a quick viewer’s journey through the Nightmare on Elm Street series in preparation for the then-upcoming A Nightmare on Elm Street 5: The Dream Child.